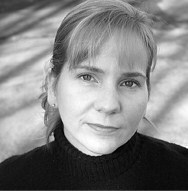 Lori Jakiela is the author of two memoirs -- The Bridge to Take When Things Get Serious (just released from C&R Press) and Miss New York Has Everything (Hatchette 2006), as well as the poetry collection Spot the Terrorist (Turning Point 2012). She teaches in the writing programs at Pitt-Greensburg and Chatham University. For more, visit www.ljwritesbooks.com. Lori Jackiela is one terrific writer. And her tales of Phelan are my favorites. This is sad but beautiful. That is indeed a touching post. I really don’t know if I would bear the type of pressure that living in such traditional neighborhoods supposes. Lori seems to be doing fine though. And the kids seem to be doing better.